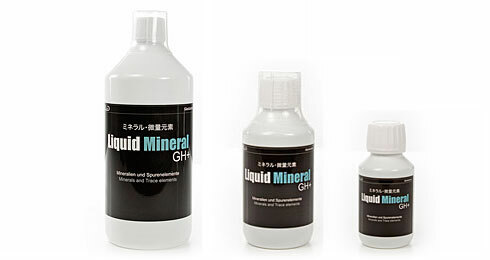 Liquid Mineral GH+ is based on an original recipe from Japan. The minerals and trace elements it contains are fine-tuned to the requirements of shrimp from soft water habitats like Bee Shrimp and their variants, Tiger Shrimp, Bumblebee Shrimp and so on and facilitate keeping and breeding greatly. This preparation increases their well-being, boosts their colors, enhances their reproduction rates and provides them with everything they need for healthy growth. In addition, Liquid Mineral GH+ enhances the all-important microbiology in the aquarium and enhances the efficiency of the biofilms and the filter bacteria in the substrate and the filter. A good water quality and a clean environment especially in the lowermost regions of the tank are especially important for the well-being, the health and the vitality of your shrimp. GlasGarten Liquid Humin+ 100 ml FREE SHIPPING!! Click the button below to add the GalsGarten liquid mineral GH+ 250 ml to your wish list.